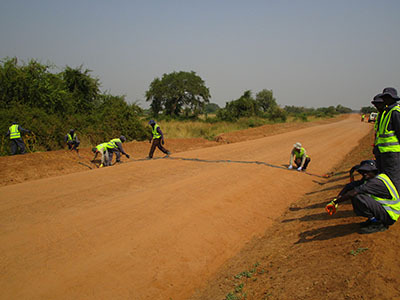 A seismic reflection survey has been performed in East Africa to map geological layers and identify potential shallow geohazards. By using a powerful weight drop along with a 2km active line, we have produced very high-resolution sections highlighting perfectly two faults crossing several hundred meters of sediments and the metamorphic bedrock. 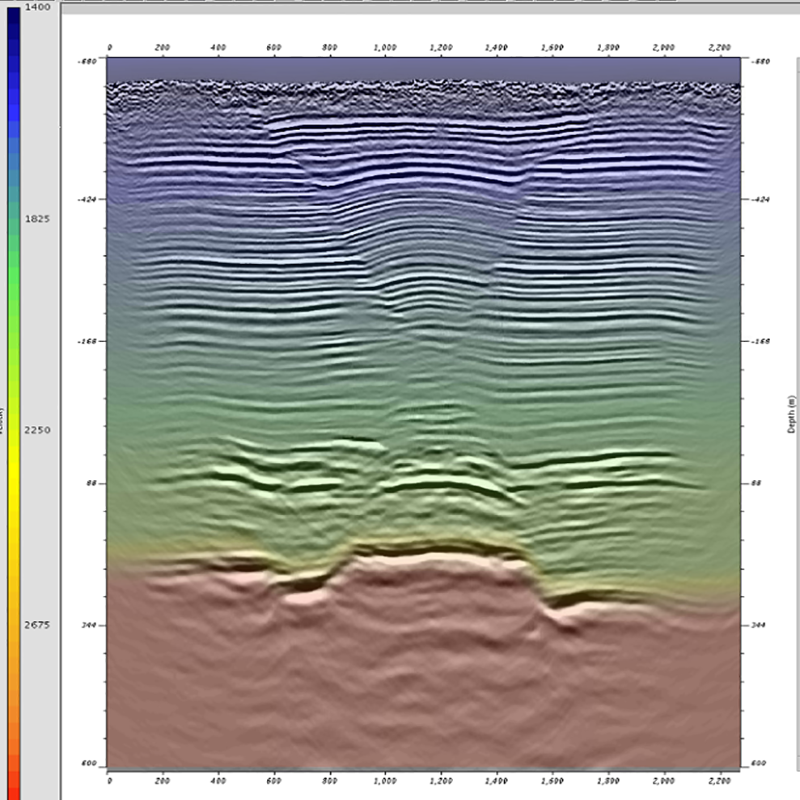 1km depth reflection seismic section. Faults are clearly identified, and the velocity model helps in the sediment-bedrock interpretation.